“I was born in 1939 in Enping, Guangdong, China. During the Sino Japanese war, my family moved west to Guangxi, and my little brother was born there. 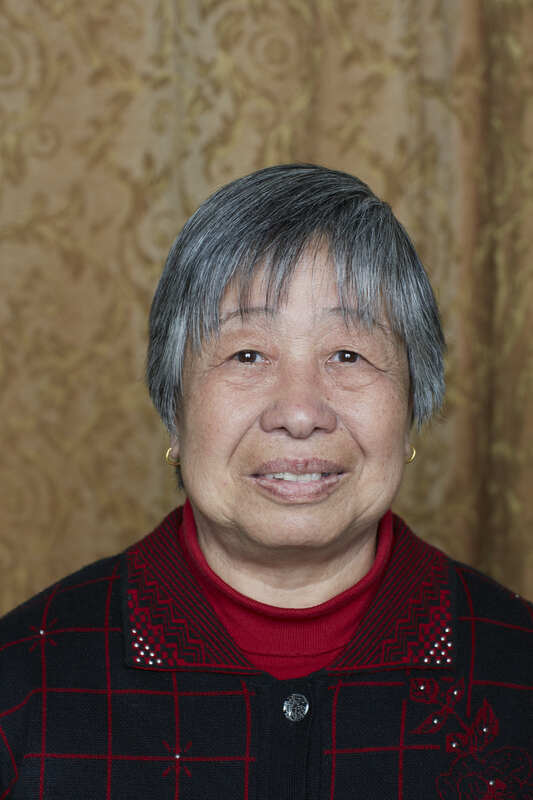 When the war ended, the family moved back home to Guangdong. When I was 18, my family married me off to a man known for his bad temperament and mean personality. He was a ship worker working for months at sea, so I went to live with his mother. My mother-in-law was so kind to me–she encouraged me to finish high school. I lived at school, and she cooked and delivered food to me. Later she arranged for me to move to Hong Kong, to escape the hard life in the village. This was the 1950’s and 1960’s. My father went to the Dominican Republic and opened three photo stores. He needed help, so my whole family went there, including my husband and me. Our first son was born there. By 1978 there was a lot of political unrest in the Dominican Republic, and the US was welcoming refugees. We missed the first deadlines, but finally succeeded in coming to the US. The first ten years were very hard for me and the family. I worked in the sewing factory and took work home. My sons helped with the factory work I took home at night, and they got summer jobs in restaurants to help support the family. My husband’s bad habits were a drag on the family. He gambled away his money and could not hold a steady job. Nobody would hire him. He had a terrible temper. One day he smashed a glass vase when he threw it at me. Luckily, I was not hurt, but I locked myself in the bedroom and told him I would call the police and have him arrested. After a long, long time, I came out. The glass was all cleaned up. He asked me what I was doing for such a long time. I told him I spoke to the police and would make sure he went to jail if he ever did that again. (Actually, I never called the police!) He really changed after that, and I wondered why I waited so long to threaten him! My in-laws were always so good to me, so I would never leave my husband.